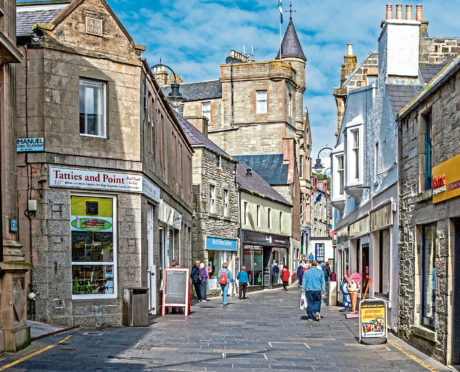 Lerwick, Aberdeen and Kirkwall are the lowest risk locations in the UK for freelancers and small businesses when it comes to getting paid on time research has found. The Outer Hebrides were also in the top 10 areas for the speediest business to business payments. Invoicing services company Solna analysed the data of more than three million small and medium-sized enterprises (SMEs) to find out which parts of the UK were the best and worst for paying their bills on time. Solna scored businesses on a scale from one to five, based on their creditworthiness and ability to pay invoices on time. Some of the most northerly parts of the UK came out on top for prompt payments, taking first, second and third in the “lowest risk” league table. Lerwick was the frontrunner, with a score of 4.17, while Aberdeen and Kirkwall were second equal on 4.15. Hemel Hempstead in Hertfordshire and Redhill in Surrey were fourth and fifth respectively, followed by the Outer Hebrides (4.07). Scotland scored 3.95, beating the overall UK figure of 3.81. A separate league table of the top five “highest risk” parts of the UK was led by west central London, followed by Bolton, east central London, Oldham and Luton. Solna chief executive and co-founder Inna Kaushan said: “There is a combination of cultural, geographical and economic reasons why people in more rural areas have better scores than businesses based in London and other urban areas. She added: “Scottish islands, including Orkney, the Outer Hebrides and Shetland, are among the most reliable areas for fast payments. “Orkney SMEs represent 81.8% of private sector employment across its inhabited islands. Invoice payments are clearly unaffected by their remoteness. “Small businesses in Kirkwall and Lerwick – Orkney and Shetland’s largest settlements – are some of the most reliable payers in the UK. According to the Federation of Small Businesses (FSB), Britain’s smaller firms are typically owed £6,142 – mostly by larger companies not paying them for goods and services on time. FSB research shows 37% of small businesses have run into cash flow difficulties because of late payments, 30% have been forced to use an overdraft and 20% suffered a slowdown in profits growth. Around 50,000 more businesses could be kept open each year, while the UK economy would receive a £2.5 billion boost, according to the federation.